The Trevor siblings will never be the same as they take up residence at Myst Court and leave their comfortable abode. Their newly inherited home is grand but gloomy, neglected, and rumoured to be haunted. Before they leave Summer Villa, their uncle warns them that it will not be against the haunted chambers of the house that they need to be wary, but rather, that which is hidden deep within the haunted chambers of their own hearts. Expose the secret chambers of your heart where Pride, Fear, or Worldliness might be residing and break free of their tenacious hold! I highly recommend this book. 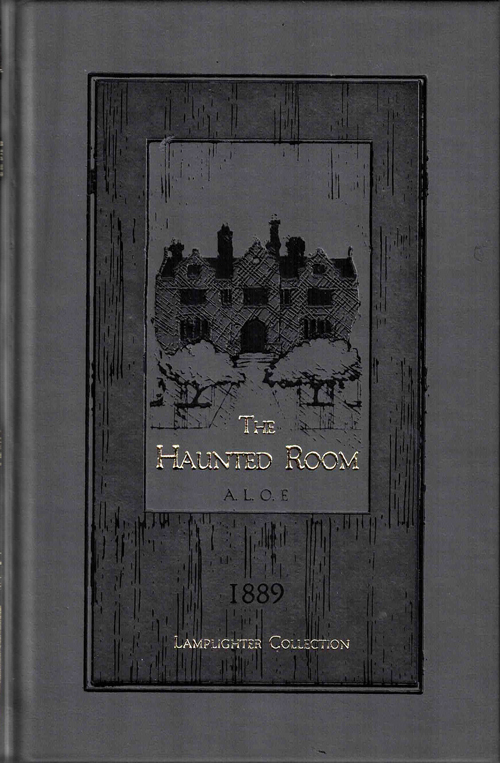 It shows a beautiful and sobering contrast between our human hearts and the haunted room. It teaches a very good lesson, and will continue no matter how many times it is read. From Melonie Luck of Morehouse, New York on 10/11/2018 . Mark was right! This book was a good faith-building one! I was challenged to look deep - find the haunted rooms in my own heart and seek Him to bring them into the light. I could feel Emmy's fear as she was left standing in the dark... Alone... (Shivers). A great read. Highly recommended! The Haunted Room introduces a timid girl Emmie, and her two very different brothers. This book has an awesome plot! The secret room and imposters make this book really cool! From Jack Snavely of Castle Rock, Colorado on 8/24/2018 . I've liked all the Lamplighter books I've read. This is one of the best I've read so far. Seldom do stories show the sins of omission and how these sins affect others as much or more than sins of commission. Very well put together and enjoyable to read. 5 Plus Stars! From Anonymous of Frankfort, Indiana on 8/14/2018 . I absolutely love this book with the thrill and the lessons that the characters learned. It had me on the edge of my seat for most of the time and in my opinion those are the best kind of books!